Rising enrolments will increase public spending on education in the next 5 to 10 years. Increases in second level enrolments will pose particular challenges. The Irish Fiscal Advisory Council1 has pointed to the need to provide estimates of the cost of providing today’s level of public services and benefits in future years, accounting for price and demographic pressures. Demographic structure of the population is a key driver of public expenditure, as most public spending goes on the young and the old. The projected rise in enrolments will lead to higher spending, if we are to maintain the current level of service in education. Education expenditure now accounts for 15.6% of gross public expenditure – an increase of 6% since 2008. There are over 1 million full-time students in institutions aided by the Department of Education and Skills (DES). Full-time students in 2015/16 were split between: primary (50%), post-primary (non-PLC) (31%), third level (16%) and post-primary (PLC students) (3%). Just under 4,000 schools are financed by the DES currently, and table 1 shows key data related to the 2015/16 academic year. Primary enrolments are projected to continue rising to a peak of over 574,000 in 2018. Post-primary enrolments are also projected to rise until 2025, at which point enrolments at second level are expected to be in excess of 400,000 pupils. See figure 1. Between 2016 and 2020, secondary enrolments will increase by 8 per cent, primary by 2.7 per cent, and third level by 1.8 per cent. Total enrolments will reach 1.1 million in 2020; an increase of 45,000 over the next four years. Between 2020 and 2025, secondary enrolments will increase by a further 10 per cent, third level by 6 per cent, while primary level numbers are projected to decrease by 11 per cent. Demographic pressure on the third level sector will also continue past 2030. Second level enrolments are projected to increase by over 65,000 (19%) between 2016 and 2025. During the same period, primary level is expected to contract by 8.5% (-47,000) and tertiary is expected to expand by 8% (14,000). 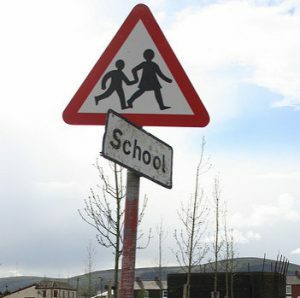 Increasing pupil numbers means that expenditure on pay will continue to increase until at least 2022, which is the projected combined peak year for pupil numbers. 2 The actual pupil-teacher ratio at primary level is 27:1 and 19:1 at secondary level.